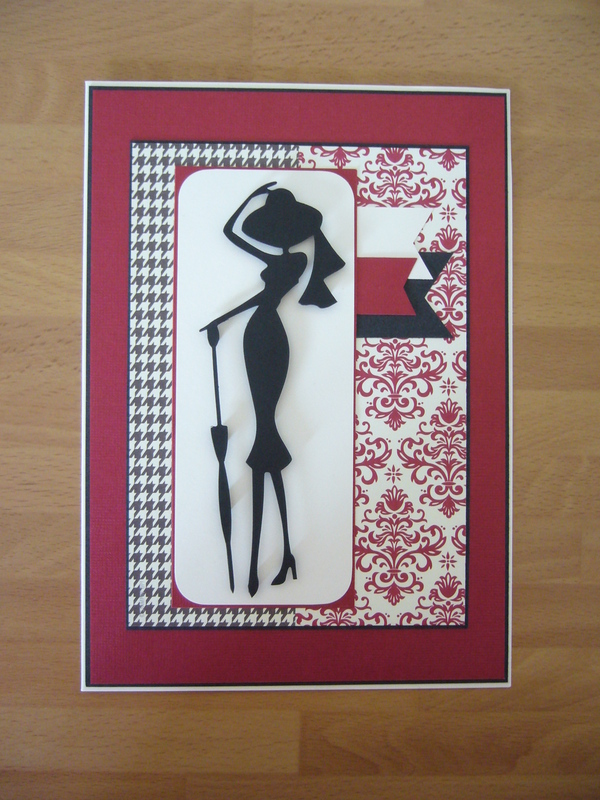 As you can see, I twisted the design around as I needed the length for my elegant lady – which, by the way, is a silhouette die cut from DieCutGenie. I also told everyone that there had to be the colour red somewhere on the card, so I’ve used some Stampin Up design papers and Cherry Cobbler cardstock with a cream A5 card. I think I might add a few gems to bling it up a bit before I use it for my friends birthday later this month.